Meet NLM’s artists in the basement. The artist you’ll meet tomorrow hasn’t picked up a pencil since she started working at NLM. On Wednesday, you’ll hear about an artist who gave up a career that most people wouldn’t walk away from. Thursday’s artist never would have considered a career in medical arts if he hadn’t seen a poster in college. But the acting chief of the Lister Hill National Center for Biomedical Communications’ Audiovisual Program Development Branch knew that a career in medical arts was for her when she was 16. You’ll hear from her on Friday. This week, we’re featuring the artists in the basement. And why do the artists work in the basement? That’s where there was room. Do you need proof that a picture is worth a 1,000 words? Click on the images below. Then check back every day this week for more amazing images and short stories about the artists who work in the basement. 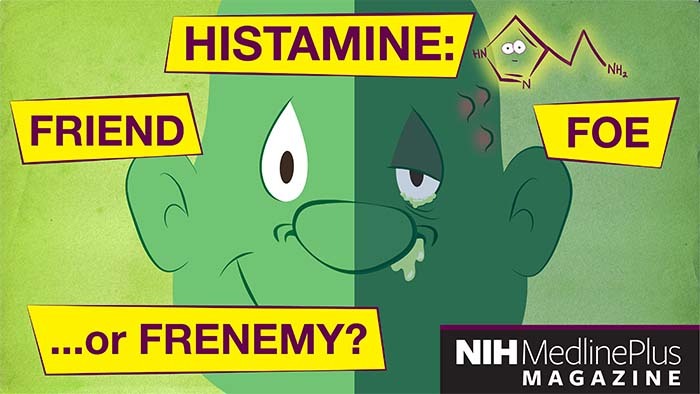 A scene from the upcoming “Histamine: Friend, Foe…or Frenemy?” animation. 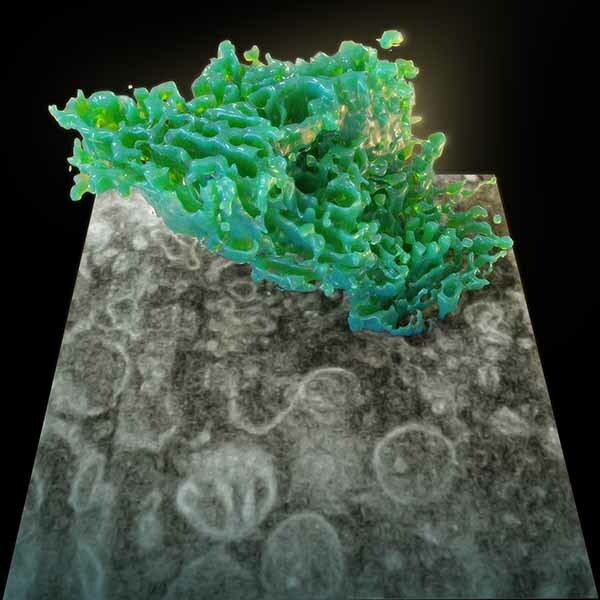 The Golgi apparatus organelle (green) segmented from volume FIB-SEM data. Part of collaborative research with the National Cancer Institute. 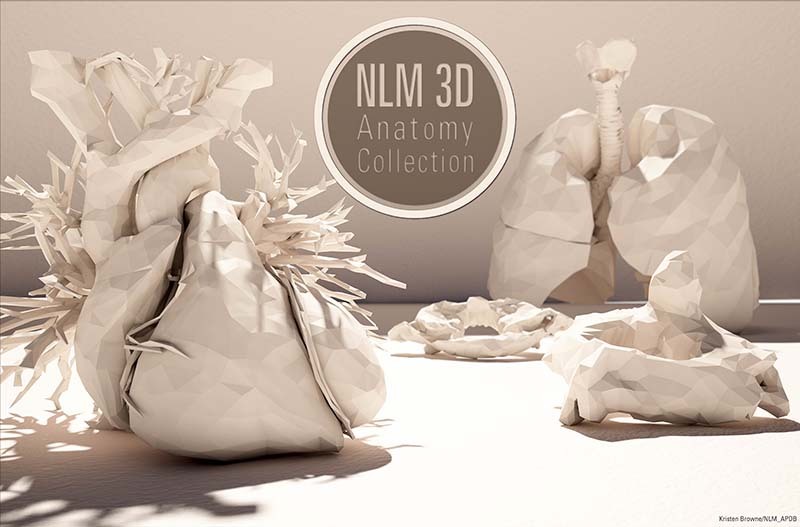 Stylized models from the NLM 3D anatomy collection rendered in the 3D modeling and animation software Cinema4D. 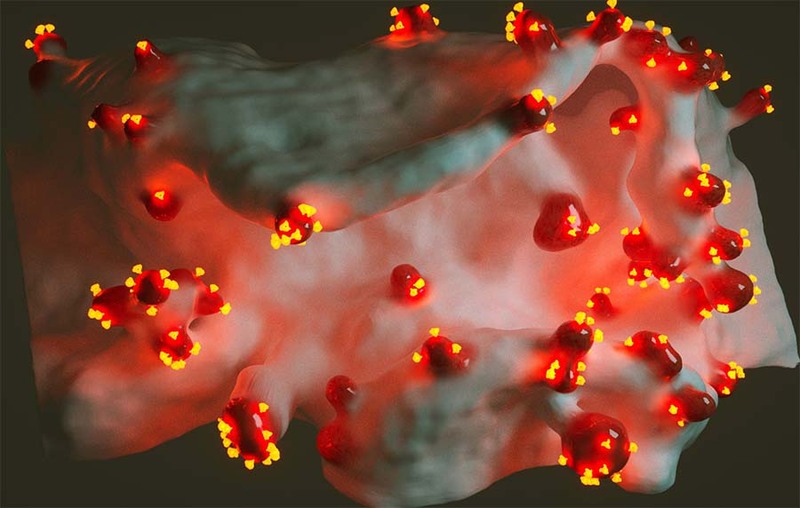 HIV (red) buds from the surface of an infected T-cell. Model from FIB-SEM volume data with the National Cancer Institute. 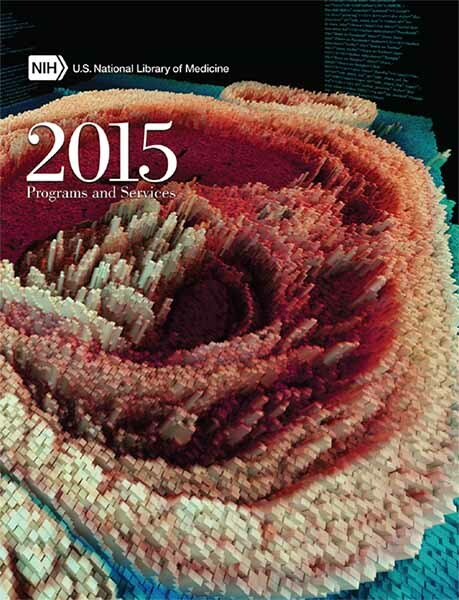 Visualization of Visible Human data graces the cover of NLM’s 2015 annual report. July 31, 2017 in NLM Departments.